Home » Teachers & Staff » Clint Haycraft, Ph.D.
covered composition for orchestral instruments, receiving the Special Award for Composition in 2003. He went on to earn masters degrees at California Institute of the Arts in 2007 and Zurich University of the Arts in 2010. Most recently (in 2015), he was awarded a Ph.D. in Music Composition from the State University of New York, Buffalo. While living in Buffalo, NY, Clint Haycraft played in various bands with local musicians. Most notable of these was Citizen Dan, which covered exclusively Steely Dan material, including the album Aja in its entirety. Clint then joined the band High Horse, adding keyboards, lead and rhythm guitar, and vocals. High horse was awarded the Buffalo Nightlife Magazine Music Award for “Best Niagara Falls Band” in 2011, 2012, 2013 and 2014, and voted “Best Adult Contemporary Band” in the Western New York Music Awards in 2013. 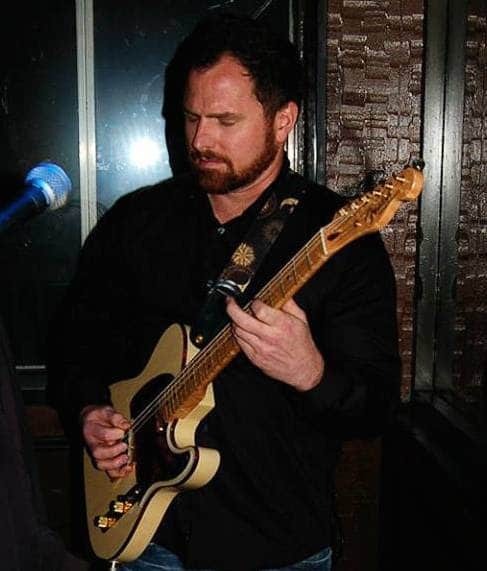 Clint has privately taught guitar since 1999 and piano since 2010. In 2011, he began teaching music theory and music appreciation at the undergraduate level as a teaching assistant at the University at Buffalo and then in 2013 as an adjunct professor at Trocaire College. He has experimented with progressive teaching techniques with great success, and feels that the traditional way music is taught leaves much room for improvement. Clint‘s extensive knowledge of music theory, composition, and technology coupled with his passion for rock music allows him to offer students a holistic perspective on creating music, always with the intent of nurturing their creative spark.